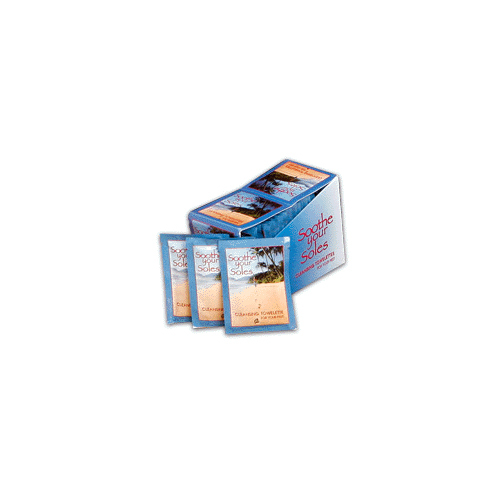 Soothe Your Soles cleansing towelettes are a great way to clean and refresh after yoga class. Natural ingredients and essential oils such as eucalyptus, witch hazel, and aloe vera give these great towelettes all the cleaning, antiseptic, antibacterial, and antifungal properties you need. Made from biodegradable wood pulp, each towelette is soft and strong, and large enough for both feet. Use Soothe Your Soles cleansing towelettes as a quick pick-me-up for tired feet!